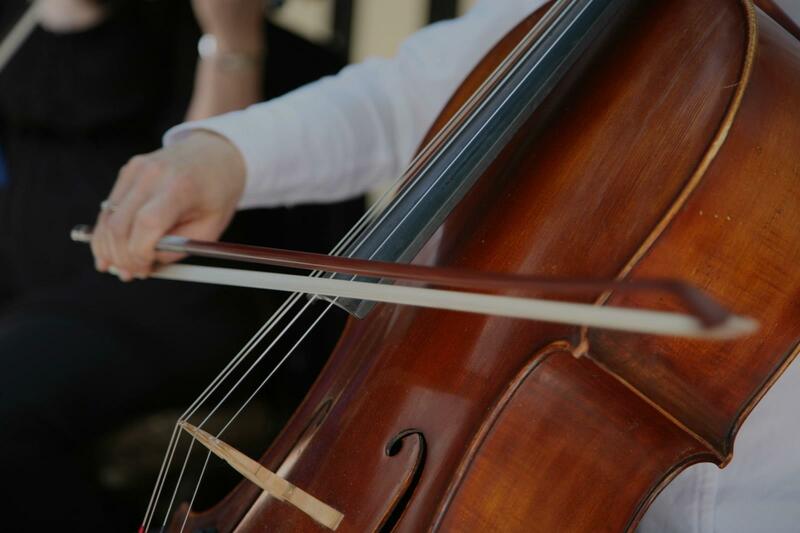 Find the perfect teacher or instructor in Greenwood for private cello lessons in your home or in their studio. Check out some of our most popular teachers near Greenwood including Bellevue, Tacoma, Snohomish, Kirkland and Kent. The main thing that I like to remind students of, when they take lessons with me, is that music is FUN! A lot of hard work goes into it, but the end result is always rewarding! I am a pretty laid back teacher, yet I still work to inspire my students to try their hardest and to be the best that they can be at what they do. It is very important to me that my students get their musical wants AND needs fulfilled. For cello, I take the standard approach; getting to know the instrument and assigning various exercises so that the student will gain technical fluency, and building repertoire. Although I am not a certified Suzuki teacher, I do use some of their methods, since I, myself was a Suzuki student. I like teaching the student memorization of pieces, so that they can focus on technique and expression within a given piece. -Gaining a feel and command for your own instrument. I started playing with the Suzuki method at age 5. I have been teaching cello to ages 5 to adult for over 8 years. While not a concert or symphony level player, I have been providing quality lessons and guidance to beginners and intermediate players of all ages and interest for years. As with all of my lessons, I provide a core curriculum as well as customizing to the student's needs and interest. From Bach and other Suzuki classics, to modern favorites like The Beatles or Pirates of the Caribbean. I help students learn the basics and eventually let the student choose their own music. I encourage students to participate in ensembles and recitals. Although it is not a requirement I believe in the importance of getting comfortable with being uncomfortable. Although this is what helps us to grow....I also understand those who may not wish to participate and respect their choices. Tudi Campbell is a classically trained cellist and violinist, and customizes lessons to meet the needs of each student. She teaches beginning to intermediate on both cello and violin for all ages. Tudi believes in providing a strong background of music theory, intonation, and aiding the student in music notation. Tudi believes in building a solid foundation to assist students with performance skills. Tudi believes that the cello and violin are for everyone, not just those interested in a professional career. She emphasizes the student's personal “voice” and style. Tudi believes in allowing the student to take part in choosing their own musical path. Tudi aims to make music as fun as possible while helping the student to mature in the skill of playing the cello or violin. stra under the direction of Dr. Marcin Paczkowski. Tudi also enjoys gardening, kayaking, sewing and reading. "Don is very patient, gentle and caring teacher. My son enjoys the cello lessons . Great cello instructor!" e. I have not taken private lessons previously, but I was in school orchestra for over two years. He has been correcting my bow hold and bowing, helping me make my cello produce nicer sounds. I really appreciate his focus on the rudiments. Mr. Don is very patient and funny at times." "Don is a gentle, patient, and caring teacher. I am grateful that he chose to first focus on the fundamentals for my son." "Mr Larson is a very experienced and talented cello teacher." "Don went right to the area I knew I needed the most help. Terrific!" "How awesome to find Don. Colin had such a great first lesson and can't wait to go back." ease, evaluated what he already knew without making him uncomfortable, and got right to work improving his fundamentals in a way that seemed to get him really motivated. We're extending our series - thanks Makala!" Having kids can get pricey; and in addition to the basic expenses, we want to give them enriched, memorable, and well-rounded experiences. Its not always possible to have season tickets to the theater or memberships to all the local museums. The good news is, if youre searching for budget-friendly kids activities, Los Angeles is full of opportunities for fun. Here are a few ways to give your children all the activities, events, and memories you've dreamed of  without breaking the bank.